Welcome to Sweden Polyglot Network! Dear polyglot members of Sweden - Welcome to the Polyglot Club in Scandinavia ! Welcome to the Kingdom of Sweden with its beautiful nature (lakes, forests, archipelagos and mountains...) and its magnificent midnights sun in summer times. 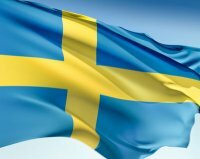 There are so many things you can say about the country of Vikings, of the Gender equality, of the Moose (“Älg”), the snow white country of Santa Claus (Lapland is big…), Midsummer with Haring (“Sill”), “Smörgåsbord” and Snaps, and of course the country of the Swedish word “Lagom”, so here is a resume of this nice and beautiful country in the Nordic countries. - and last but not least Sweden is the country of IKEA, Volvo, Ericsson and H& M.
By Amanda - the Administrator of Sweden. Hej, jag är en engelsman som bor i Linköping. Jag vill gärna träna mer på svenska eller träffas nya människor. Hola.. saludos desde Argentina ! Hej , jag skulle villja en kompis , som pratar med mig. I would love friends in sweden who can teach me the basics. I can offer Spanish, English and Italian lessons. My email is: Balt .